o classical shape of Clostridium tetani bacterium containing a terminal spore. o A subcellular particle seen by electron microscopy in Langerhans’ cell histiocytosis. o chronic inflammation at the origin of the extensor muscles of the forearm from the lateral epicondyle of the humerus, as a result of unusual or repetitive strain (not necessarily from playing tennis). o a rupture of the gastrocnemius muscle at the musculotendinous junction, resulting from forcible contractions of the calf muscles; often seen in tennis players as the result of frequent quick stopping and starting movements. o tendinitis with calcification in the tendon of the long flexor of the thumb (flexor pollicis longus) caused by friction and strain as in tennis playing, but also occurring in other exercises in which the thumb is subject to repeated pressure or strain. o Tenosynovitis of wrist which may occur in tennis players. Biochemistry has a lot of enzymes and equations which may make it hard to memorize! A good way to remember that PC gives Oxaloacetate is just saying: PC and Xbox ( 2 platforms used for gaming) with the X in Xbox referring to the X in oXaloacetate. To remember that PD gives Acetyl-CoA, put in mind that we become DEHYRATED in HOT weather so we use AIR CONDITIONERS (ACs). Hey guys! 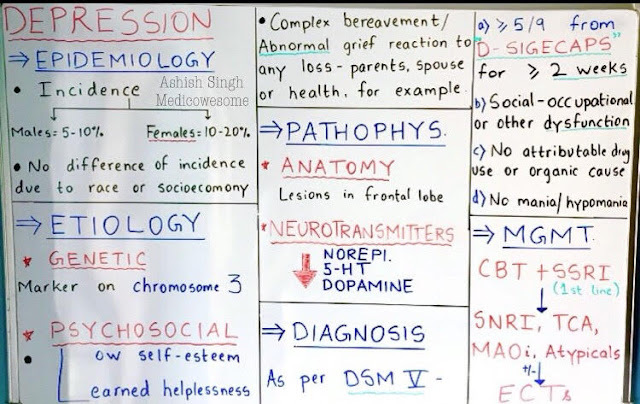 Here’s a review of Major Depressive Disorder using a whiteboard as help. Depression is a type of mood disorder with primary disturbance in internal emotional state causing subjective distress and socio-occupational dysfunction. Learned helplessness is when the individual learns that he/she is helpless in situations where there is a presence of aversive stimuli, has accepted that there’s no control over it, and thus gives up trying. Depressed mood: Can show diurnal variation. Patient reported. Essential for diagnosis. Sleep disturbance: Patients have decreased slow wave sleep duration and R.E.M. latency while having increased total R.E.M. duration with early R.E.M. onset in sleep cycle. Interest loss or anhedonia: Inability to attain pleasure from almost any activity. Patient reported. Essential for diagnosis. Guilty: Patients have feelings of worthlessness or sin for events they have little or no role in/ control of. Concentration difficulties: Usually accompanied with indecisiveness. Appetite and weight changes: Can increases or decrease. Usually, there’s a loss of body weight by 5% or more, associated with GI complaints of constipation, dyspepsia etc. Psychomotor changes: Retardation or agitation. Suicidal ideations: Recurrent thoughts of death, recurrent suicidal ideation without a specific plan, or a suicide attempt or specific plan for committing suicide. Psychotherapy: Cognitive Behavioural Therapy, Problem Solving Therapy, Emotions Focused Therapy and Behavioural Activation etc. Selective Serotonin Reuptake Inhibitors: Fluoxetine, Paroxetine, Fluvoxamine, Escitalopram and Sertraline. Serotonin/ Norepinephrine Reuptake Inhibitors: Duloxetine, Venlafaxine, Desvenlafaxine. Tricyclic Antidepressants: Amitriptyline, Nortriptyline, Clomipramine, Desipramine and Imipramine. Monoamine Oxidase Inhibitors: Tranylcypromine, Phenelzine, Isocarboxazid, Selegiline. Atypical antidepressants: Bupropion, Trazodone, Mirtazapine. Hope this helps. Happy studying! Here's a summary of the important Hutchinson's in medicine! Feature - Peg shaped Incisors , Widely spaced and smaller teeth. Associations - Mulberry Molars : Multi-cusped Molars. Feature - Melano-nychia ( Black colored nail) , feature of a melanoma below the nail plate. Feature - Melano-nychia like appearance. Feature - Vesicle at the tip of the nose - indicative of Zoster infection. May precede Herpes Zoster Ophthalmicus. Feature - Hutchinson teeth + Interstitial keratitis + Sensorineural Hearing loss. Feature - Mask like sensation over the face due to involvement of trigeminal. Seen in - Raised Intracranial tension especially due to a mass. Feature - Pupil dilated and unreactive to light due to 3rd cranial nerve compression. Those are all the Hutchinson I can think of ! Let me know if you got any more. We need to know 3 of them - Hair , Finger nails and Toe Nails. Hair is the fastest growing. So remember just one number for it - 0.37 mm/day. Now , next fastest is finger nails. For this divide by 3. 0.12 so 0.1 mm / day is finger nails. Now divide this by 3 to get the value for Toe nails. So 0.03 mm/ day is for Toe nails ! This is my 2nd MIL! Hope it's illustrative and informative ! (Click on the image to see it in Full View). This is an Image of Tinea Corporis (Ringworm) infection of the skin. Notice - the lesion is annular in shape , has a ring like appearance. The lesion seems to be erythematous and elevated (papular) towards its outside, and shows central area of clearing. This is classic of Tinea! Tinea is actually a fungal infection caused by Dermatophytes. - Include such a lesion over different body parts which are severely itchy. - Occur particularly in summers. Tinea Corporis = Tinea infection occuring over the body. Tinea Cruris = Tinea Infection in the groin area (Jock itch). Tinea Glutealis = Tinea along the natal cleft and towards the Gluteal regions. Tinea Pedis = Athelete's foot, occuring in the feet. Tinea Capitis = Scalp and hair. - Predisposed to get this in areas of constant sweat and moisture. Hence dryness is very important to maintain. Differentiate from Psoriasis : Lesions are not clear centrally ; there are plaques with Scales in Psoriasis and there maybe history of pin point bleeders. Can confirm using Biopsy / Analysis of skin scraping and obtaining a species specific diagnosis. - Most promising ones are Luliconazole and Terbinafine creams. - Can try Clotrimazole and Ketoconazole Shampoo for the site of lesion. - Itraconazole is a wonderful drug , dose being 5mg/kg / day. Roughly 100 mg twice a day is good enough. - Griseofulvin was an option but resistance seen now. C. Anti histaminic for allergy. D. Duration of Rx is almost 2-3 months. It's a hard fungus to kill..
E. Steroids not to be used strictly. ( I've seen some horrendous results where the whole body was covered with Tinea when the patient stopped applying the steroids. Best to avoid them as per clinical as well as literature review). Hi everyone ! Just a short post reviewing MCTD! References are Harrison's and Medscape! - It's a somewhat ambiguously used term for disease characterised by a collection of few symptoms from different autoimmune connective tissue disorders. - Namely , features of Systemic Sclerosis (SSc) , Lupus , Myositis and sometimes RA are present in some proportion in the same patient. 2. What are its chief presenting features ? - Raynaud's is often the presenting feature. May also get edematous fingers. - Other Limited Cutaneous SSc features like CREST. - Evidence of Anti phospholipid Antibody Syndrome - associated with SLE. - May get Cutaneous features of Dermatomyositis. Also may have Pulmonary Hypertension, Pulmonary Fibrosis. 3. What are the criteria for diagnosis ? 4. When to suspect MCTD? 5.What tests would one order if suspecting MCTD ? • Confirm absence of SSc - Anti Centromere and Anti Topoisomerase. 6. How is the treatment like ? - NSAIDs - Symptomatic Relief. - Steroids confer some Relief unlike in SSc. So it's important to differentiate the two! - Hydroxy chloroquine and Methotrexate may be used to keep disease activity in check. I would like to thank everyone who I met during this journey from all over the world, Thank you everyone! >Did a fast read of MTBs then started UW offline systemically with taking notes using Anki flashcards program. >Did UW online systemically in tutor mode with marking difficult/incorrect questions and writing any new notes that are not in the offline version. >When I did the exam, NBME 8 and UWSA2 were not released, so it is better to do those too, and NBME4 can be done offline if needed. 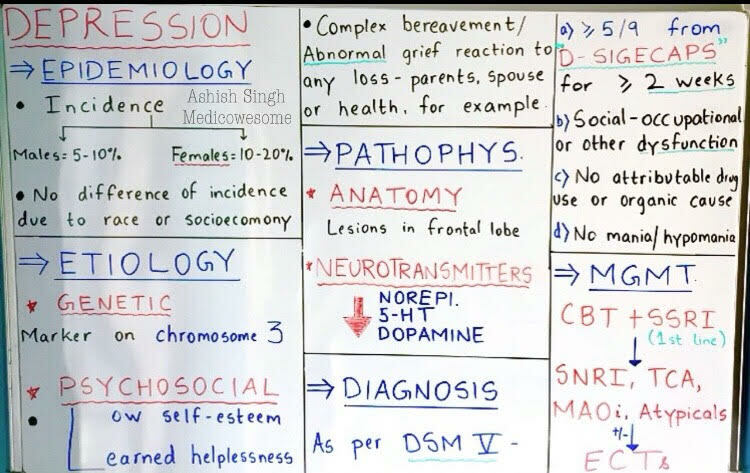 UW is really solid in Peds and covers most if not all the needed concepts in the exam. Please check uw tables and diagrams for Obgyn before studying MTB and compare between the two..sometimes there are differences and UW is always the correct one. You don’t want to memorize the info wrong first then correct it again. So UW tables hand in hand with MTB then UW. Kaplan vids for Obgyn may be used if needed. -No comprehensive book for CK like First Aid for Step1 but It is an exam that tests your concepts and the more questions you do the more confident you ll feel. Hypertension in a young individual needs specific evaluation to rule out Non Essential Hypertension (Secondary Hypertension). The Most Common cause of this is Renal Hypertension. B. Parenchymal Renal Diseases like Glomerulonephritis. - A young 20-30 year old female , with Hypertension and possibly asymmetrical pressures in both limbs, and associated with a Renal Artery bruit. - Typically have history of some form of Cranial vessel involvement in the form of Strokes in a Young Female , TIA's , other transient neurological phenomena. - Carotidynia may be + (Due to carotid dissection). Angiography - String of beads appearance. - Rx = Anti Platelets , Anti HT . May need Endovascular clot treatment. - A 10-25 year old male or female with cola colored urine , fever and periorbital puffiness. Older adults may have more atypical features like Hypertensive Encephalopathy and may develop Uremia. - H/O antecedent Streptococcal infection - 3-4 weeks prior. - Ix - Urine report shows Hematuria, RBC Casts and Nephritic range proteinuria. Renal profile and Urine output to be done and monitored regularly. Get ASO titers for previous strep infection. - Rx - Symptomatic. IV fluids. May need Renal Replacement if Uremia sets in. (Also gives a clue to the Adrenal cause of Hypertension with Sodium and Potassium changes). • Pelvic Ultrasound for any structural abnormality of urological tract - due to Congneital or Acquired causes. • Complement levels - may be reduced. • Antibody panel for various Vasculitis - ANCA , ANA and AMA. 5. Lipid profile for Atherosclerotic vascular disease. Hope this helps - both on the wards and the boards. You could also remember BMC as the Beta Blockers that have mortality benefit in Heart Failure patients! Let me know if you guys have any acronyms for cardiac drugs. The femoral triangle is a subfascial space bounded superiorly by the inguinal ligament, medially by the adductor longus muscle, and laterally by the sartorius muscle. Here's another way I study - when I am looking up cool things in other creatures, I compare it to the human body. It's fun! Since my mom first introduced me to the slit lamp view of the eye and dad to the indirect ophthalmoscopy, I developed a liking for ophthalmology. The magnified view of the eye through the slit lamp just looks 'oh so beautiful' and it's such a fun challenge to master indirect ophthalmoscopy- I didn't think much in the counselling room while 'locking' the MS Oph option. Also, the fact that you have to work with all the cool gadgets and gizmos, lasers and stuff made me incline towards it. Ophthalmology is a mutifaceted branch. Those who are into diagnostics and literature get their own share as well as those who want to take matters into their own hands and like to cut,paste, and remove things. The puzzle of diagnosis and the thrill of surgery, both can be had here. Though not as demanding as general medicine or surgery, ophthalmic surgeries like cataract have a steep learning curve,a personal opinion of mine. But when you make sure that all the things fall into places rightly, it is highly satisfying an experience. The patient's smile the next day when they see clearly feels so good to the heart. Experience in residency varies per college. I for one am happy with mine. I have done a few basic surgeries like pterygium and dacryocystectomy independently but under supervision during my first year itself. Currently, I'm working on tunnel making in cataract surgery. I have seen a lot of interesting cases of lids, cornea, and the fundus. At times though, performing sac syringing of every pre op patient and filling up of discharge cards of the post op patients makes me go meh. But this is just nitpicking, I have a fair idea about the extreme workload of redundant stuff in other colleges. After passing out, there are many fellowship programs offered by institutions. Getting a fellowship done is sort of a norm nowdays. if interested in establishing a privately owned set up. A job in an institution can be an option but things may get pushy or so I've heard. Summing it up, this is like a cute little baby who is rather tough to please, but when you get it right, the smile is priceless. First of all, I would like to thank everyone who I met during this journey from all over the world, Thank you everyone! >Kaplan biochem book for pages that correspond to the videos only..fast skimming, don’t spend much time doing it! >Use a lot of mnemonics whether from the proposed errata or any other source you find, also take care of the pics of organisms because they can be a question too. 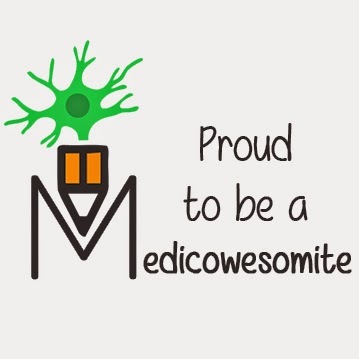 In addition to many mnemonics that are found online, you may check the anti-Neoplastic part of Sketchy pharm, I haven’t seen it but I heard it is cool. >Some books in First Aid are not clear enough ..eg: the foramina of the skull,,I suggest looking for some pics that are not clear in First Aid. I suggest studying drug toxicities, DSM rules and drugs mech of action from Uworld because it is more arranged and accurate than First Aid. Although memorizing is very important for step1, be sure to understand the concept before memorizing it. This is especially true in physiology because one fact may be asked in many ways. I have seen ppl doing it in a period as short as 5 months ( esp if step2 is done before) up to more than 1 year with others. In my case, It was on and off but if you want to put a timeline I would say 6-7 months. -How many times do I have to do First Aid? No fixed answer to this question. It depends on your type of studying. Are you the type who likes to read fast then revise again and again? Or you like one solid 1st time then a fast revision? After you study First Aid and solve Uworld, try asking First Aid facts in a question form, do that on Facebook groups,Whatsapp..or with your study partner. Asking facts in question form will let you see many lines in First Aid that your eyes can oversee! Please don’t omit any line, diagram..curve in First Aid, anything can be asked! The 2 that are very connected are physiology and pathology. I sometimes used to finish Anatomy, Embryology and Pharmacology then go back to physiology and pathology. This really differs for every person, some ppl like to write notes on extra notebooks, others write on First Aid or add sticky notes to it. Always remember the best notes are those you make yourself. You can come up with any personalized revision schedule you like, for me, revision was done after I finish the whole chapter in addition to its Uworld questions in the form of questions and answers with my friends on Facebook/Whatsapp. Some already made Anki decks are there for step1, the most famous one is the Bronsenchephalon deck. -What if I need more? I believe that watching Dr. Najeeb’s videos or studying Goljan or textbooks..etc is NOT needed and is beyond the scope of Step1 and will just take extra time from you with no much difference in score! Because when you solve Uworld again, recall bias would kick in and you ll be able to answer some questions not because you understand them but because you remember the question. Many factors affect this, but if it is your first time with the USMLEs, you can do some blocks untimed in tutor mode then try timed mode, if you feel there is no problem with time, you can continue doing tutor mode. Another method done by some ppl is to do Uworld tutor mode first read then timed mode in their 2nd read. This is also affected by how fast you read English, how you train your eyes to omit distractors and by resisting the urge to re-reading the question sometimes. With time, this becomes easier! -Uworld system-wise, Subject-wise or mixed? It depends on each person and each has his own approach. This will help integrating the relevant data together. Always read the last line first...sometimes you may be asked a pharmacology question that is 10 lines long, then the question may be: the drug works by the following mechanism! This will greatly help in saving time for more questions in the exam. After reading the last line, you can start reading the question from the start, a good thing is to highlight the abnormalities or the main points so your eyes can pinpoint what the question is asking. This questions depends on your level. I did my step 1 after graduation and I did CK before that, so in my case, I felt I didn’t need videos to explain the basics for me. >I felt kaplan videos were needed for biochem, because in First Aid biochem is not that clear. My advice is to watch the videos by Dr. Sam Turco, then look at Kaplan Biochem book to read what he explained but don’t see other pages that he doesn’t talk about because they are low yield. >Kaplan pharmacology vid by Dr. Raymond may be used to explain the general pharmacology part of inhibitors. >Kaplan qbank: in my opinion, it is not needed but it may be used for more practice for genetics and biostats questions. In my opinion. Older NBMEs don't represent exam trend and may have some very strange questions..but if you have time, do the biostat, genetic bands questions to be more used to deal with those. If you really have more time and you want to do all of NBMEs, you can do them too but know the concepts. >Take NBMEs as an average, mostly your score will be somewhere between your lowest and highest score, It is something good to see you score increasing in each NBME, but put in mind that mostly NBME17 is underpredictive and that online ones are graded differently than offline ones. I did CK before Step 1 so it helped in Pathology, micro, ethics, biostat, behavioral and a lot of pharm. In short, any step that you do before will help in the next one which leads to shorter studying time. >I took a break after each block with a larger break after my 3rd block, relaxing more, eating a bit more. >Wear something that has less pockets to save time because you will be checked each time you enter the exam room after any break. >Do a simulation test for yourself before the exam, spend 8 hours with breaks in between and know when you feel more tired or more hungry and decide how to divide breaks in the actual exam accordingly. No matter how much you study, be prepared to find some strange questions in the exam, don’t panic, just follow your common sense, choose an answer and go on. >Now your mind will start remembering every single stupid mistake you did and you ll feel like: Who did I do that???? >Now 2 things: either leave it and suppress your ideas and hide anything related to Step 1 or go and do a brainstorming session and remember everything to reach a level of internal peace with what you did. Therefore collagen fiber content increases in pulp organ. Dentin is a very important question.